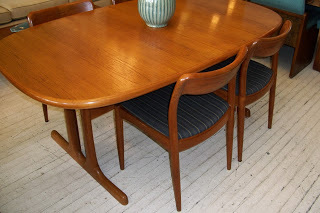 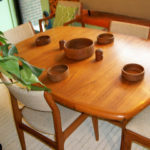 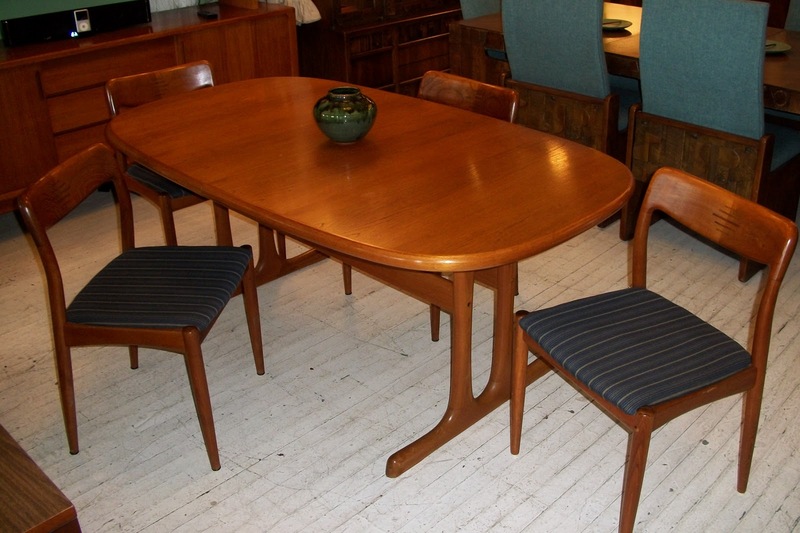 Uber Danish TEAK dining room set. 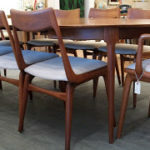 This table comes complete with 2 leaves that store underneath the tabletop! Four solid teak chairs in the manner of Moller!